with Susan Bello Ph.D, the creator of The I.am.I™ Method of Spontaneous Painting, and Founder of Organization for the Arts and Whole Brain Learning, Inc. Teach this transformative method cross culturally to others. Unleash your symbolic images and understand their meaning. Source your CREATIVE MIND for innovative solutions to current problems. with these Innate Authentic Multiple Intelligences, I.am.I. symbolic, visual and kinesthetic ways of knowing. In The I.am.I™ Method of Spontaneous Painting Training, the facilitator will experience firsthand various multidisciplinary practices in the creative arts, Biodanza and other movement approaches, contemplative writing, mindfulness meditation, online group processes, telepathic attunement, and communication for peace building. Become part of an evolutionary circle for creative and emotional wellness. The creative intention of the universe beckons you to grow into your full potential– to be who you truly are. Spontaneous Painting opens us to a quantum dimension beyond ego-logical thinking, allowing the universal Life Force to create through us. Painting symbolic images from within is an innate ability of the human race. All of our emotions from the sacred to the profane are welcomed to express. Receive support in the struggle for your light to come out of hiding. Leave behind limiting conditionings, and fears that block you from assuming your authentic and higher Self. Who Can Take the Symbol Journey? The I.am.I™ Method can be implemented in education, business, rehabilitation, hospitals, prisons, and wellness centers. People of all ages and cultures can express this profound visual language of our heart. This method benefits people pursuing spiritual development who also want to expand their creative potential, as well as artists searching for new painting styles. Who Should Apply for the Facilitator Training Program? Professionals interested in augmenting their skills to include an inner-directed art approach, and already have a license as a teacher, therapist, business consultant, life coach, social worker, health care/wellness practitioner or experience in a related field. If you have no prior professional credentials working with people, but are passionate about learning this method and feel it is your calling and gift, please contact us. This method also benefits people pursuing spiritual development who want to expand their creative potential, as well as artists searching for new painting styles. The I.am.I™ Method can be implemented in education, business, rehabilitation, hospitals, prisons, and wellness centers. People of all ages and cultures can express this profound visual language of our heart. This program trains facilitators to be cultural change makers. Wherever you live, you can teach this method to others. Become an innovator in your field. We would like to share this with YOU so you can share it with others! The Organization for the Arts & Whole Brain Learning is interested in partnering with other schools and organizations that are offering programs in education, self-development, therapy, or preventative mental health. 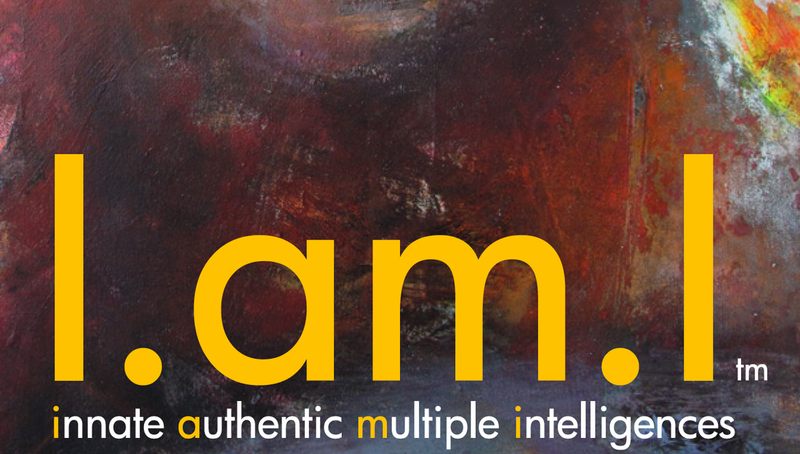 If you want to expand your program – The I.am.I™ Method of Spontaneous Painting may contribute the missing piece. Uniting together, we can create a people-centered initiative and coalition to effect social change. What do WE need in order to begin? We need to train facilitators who will be cultural change makers, and schools and organizations willing to participate in facilitator training programs. Wherever you live, you can teach this method to others. Where does inspiration come from? It comes from within. If we begin to educate people to discover their unique gifts, and manifest them, then we are building a culture of peace. We would like to hear from YOU! If you feel called, take the first step. Please send your resume to susanbello@gmail.com and you will be contacted for an interview.